The next-gen Maruti Suzuki Ertiga will be slightly bigger and a lot more feature-rich than the outgoing model and the MPV is likely to be introduced in India sometime next year. It was just about a week ago when we first shared the spy photos of the next-generation Maruti Suzuki Ertiga. 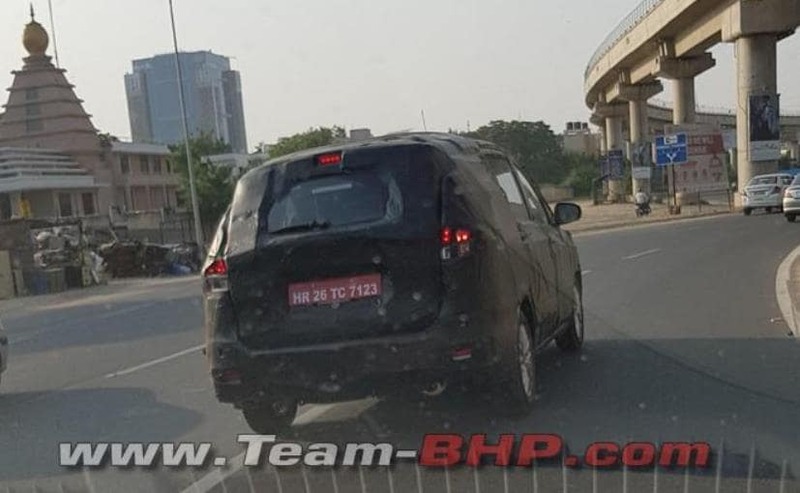 Now, a new set of images of the upcoming MPV have surfaced online and interestingly it's the same test mule that was seen about a week back. 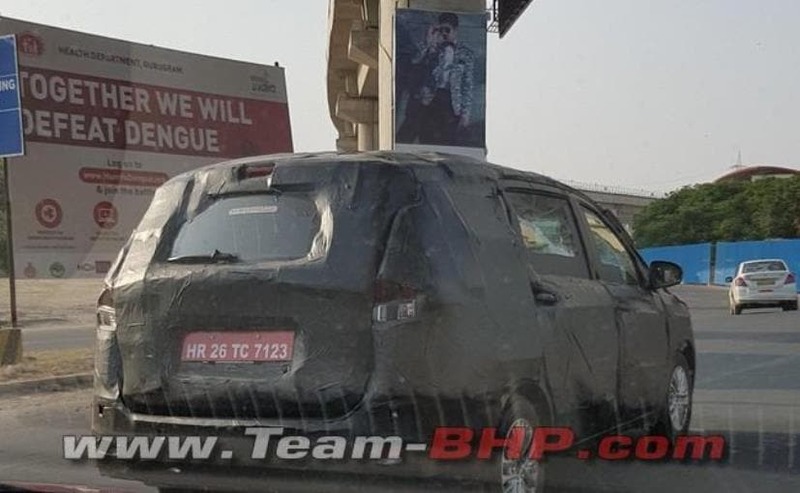 While the test mule is still heavily covered in camouflage and pseudo cladding, this tells us that Maruti Suzuki is working on full sway in readying the next-gen Ertiga. While there is no official word on it, the new Maruti Suzuki Ertiga is likely to go on sale in India sometime next year, possibly in the second half of 2018. 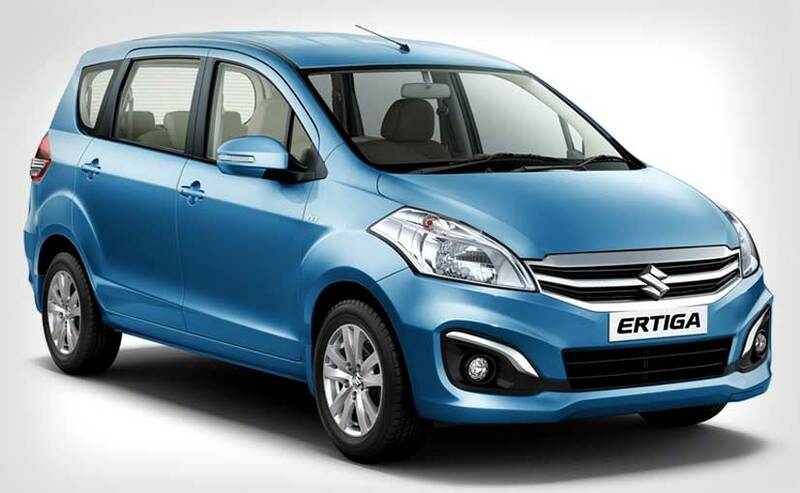 The Maruti Suzuki Ertiga was first launched in India in 2012 as an entry-level 7-seater MPV for the India market. The company did launch a facelifted version of the Ertiga in October 2015, but, that was over a couple of years ago and the MPV was long overdue for a generation upgrade. Now, we finally know that it's coming, and the heavy camouflage on this test mule indicate that the changes will be quite extensive. Last time we did not have a very clear view of the next-gen Maruti Suzuki Ertiga's rear end. This time around, the rear of the car is much up close in the images and it looks like the company has reworked on the design. The tailgate looks slightly bigger and the MPV appears to get a pair of new taillamps as well (maybe LEDs for the top-end model). To go with the new taillights, the MPV will also come with new headlamps, possibly, projector lights with LED daytime running lamps. Now, since the Toyota Innova Crysta went a notch higher in the segment with the launch of the new-gen model, there has been a gap in the MPV space for a well-equipped mid-level MPV. There is a possibility that Maruti Suzuki could try and tap into this space with the new Ertiga. That could also be why the MPV appears to have become slightly bigger than the outgoing models and is likely to have a longer and wider footprint, along with larger overhangs. This means that the new Ertiga will come with a more spacious cabin, mainly to match up to its competitors and a lot more feature-rich. We also expect the new Ertiga to come with a refreshed interior, a new dashboard with touchscreen infotainment system with Apple CarPlay and Android Auto. On the safety front, dual airbags and ABS with EBD is also expected to come as standard offerings. Under the hood, the new-gen Maruti Suzuki Ertiga will remain unchanged will continue to get the 1.4-litre petrol engine and tried and tested 1.3-litre DDIS diesel engine with the company's Smart Hybrid Vehicle System (SHVS) technology. Currently the former comes with 5-speed manual gearbox and a 4-speed automatic torque converter, while the diesel model only comes with a 5-speed manual unit. Having said that, there is a chance that the company might consider offering its AMT unit as well, at least with the diesel version.